When a small pizza chain in Fargo, ND began growing at a rapid pace, the challenges of creating a consistent, high quality pizza grew with it. Despite efforts to overcome inconsistencies in their dough from one location and chef to the next, the quality of Spicy Pie’s hand-tossed New York-style pizza suffered, putting their business at risk. 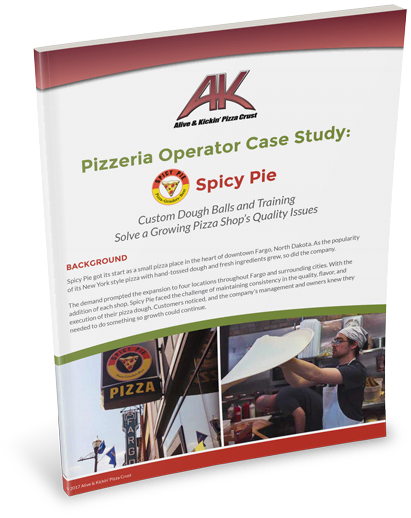 Download the Spicy Pie Custom Dough Ball Case Study now by filling out the form, then reach out to Alive & Kickin’ to learn more about how dough balls can help you overcome your inconsistency challenges.